Take to the air to take in the sites of London. Enjoy breathtaking views by day or at sunset. What is the Emirates Air Line? 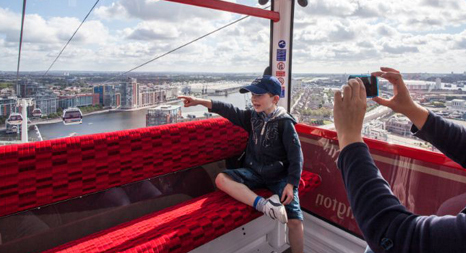 The Emirates Air Line is a cable car offering breathtaking 360 degree views of London as you cross the River Thames between Greenwich Peninsula and the Royal Docks. Cabins arrive every 30 seconds and flights last around 10 minutes each way. Reaching heights of 90 metres, it’s a perfect way to take in the sights of London on a sunny day or watch the sunset on a warm summer evening. Cabins hold up to eight people so it’s a great experience for a family or group of friends. 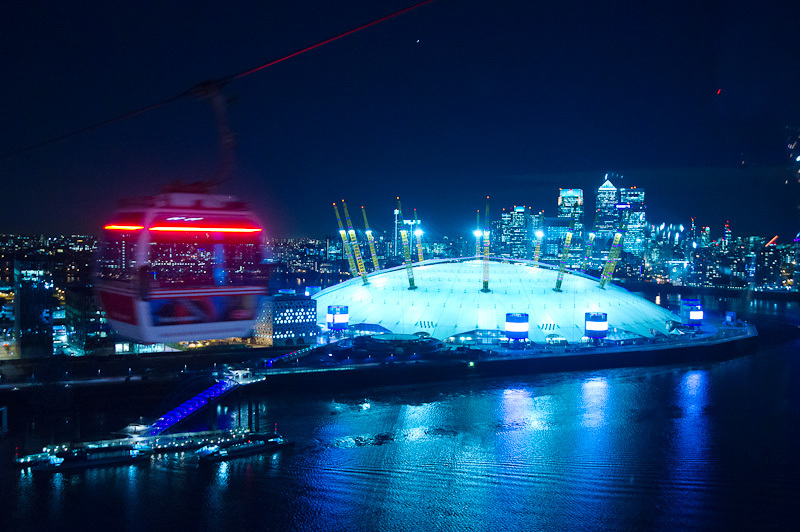 From Saturday 28 March, the Emirates Air Line will offer a new ‘Night Flight’ experience with later opening times, a longer flight time and complementary music and video entertainment in cabins and at the terminals will ensure customers can sit back, relax and enjoy the unique aerial views of fantastic sunsets or spectacular lights and colours of London after dark, throughout the summer. From Sunday to Thursday, passengers will be able to fly until 10pm and on Friday and Saturday nights the Emirates Air Line will close at 11pm.